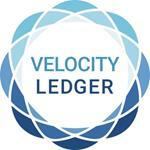 Bermuda, April 10, 2019 (GLOBE NEWSWIRE) -- (via Blockchain Wire) Velocity Ledger Holdings Limited ”VLHL” has been approved to conduct an initial coin offering “ICO” by the Ministry of Finance of Bermuda in accordance with the companies act of 1981. VLHL is a Bermuda Company with two subsidiaries for which the ICO will fund operations: VL Financial and Velocity Ledger Technology Limited ("VL Tech"). VL Financial is currently engaged in the application process with the Bermuda Monetary Authority (BMA), which regulates the financial sector, to obtain the required licenses to operate. Following approval by the BMA, VL Financial would operate a digital asset exchange in Bermuda supporting asset backed investment and real estate tokens. VL Tech is a private blockchain enabled platform for he generation of tokenized assets, secondary trading and settlement of trades. It is a comprehensive technology solution that operates as Software-as-a-Service (SAAS). Participants utilizing the technology will require token ownership. VL tokens may be used for payment for licensing VL technology platform and services. Benefits include revenue sharing and monthly distribution of newly minted tokens to stake-holders. The VL token sale was approved on March 22, 2019 and is expected to commence in the middle of April, through July of 2019.